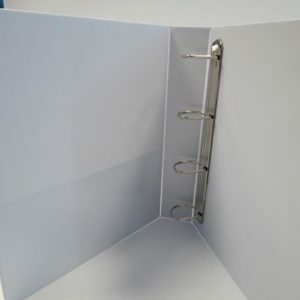 Our high quality ring binders are manufactured using a superior heavy duty inner board for added strength & durability. The specification of our ring binders far exceeds anything you can source from a stationery company. OTHER COLOURS AND BESPOKE RING BINDERS ARE ALSO AVAILABLE UPON REQUEST.